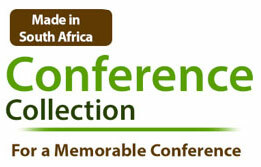 Looking for eco-friendly conference bags and eco-friendly promotional products that are made in South Africa? Look no further ! 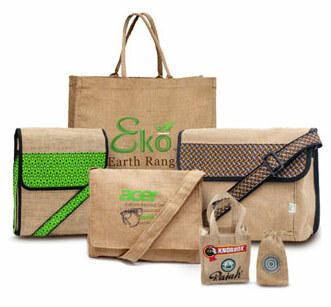 We specialise in making unique and attractive eco-friendly conference bags and eco-friendly promotional products from waste. 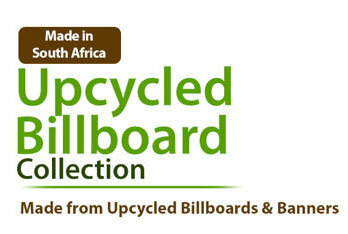 We take used billboards and polyester marketing waste and upcycle (reuse waste in such a way as to give it value) it into eye catching, durable conference bags and many other products. 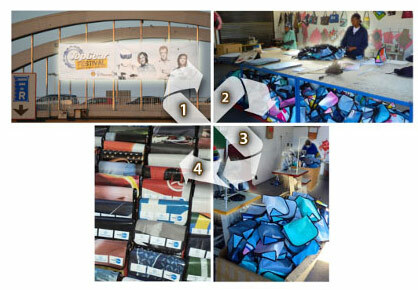 We are passionate about supporting local small businesses and job creation initiatives who are creating employment and up-skilling disadvantaged people, we are very proud of the fact that we are manufacturing eco-friendly promotional products right here in South Africa. We apply fair trade principles and do business with caring and integrity. Going green and supporting job creation is not just the right thing to do, it makes good business sense these days. Offering a South African made and eco-friendly conference bag or eco-friendly promotional product at your conference or to your clients as gifts speaks volumes about your brand. 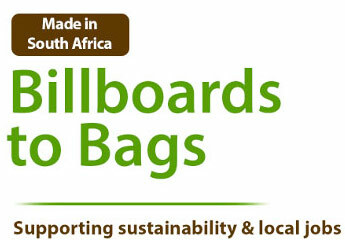 It says you care about sustainability in South Africa and reducing your carbon footprint. Recognise the power of your spend by purchasing sustainable promotional products that support job creation and environmentalism in South Africa. Merging commercialism with sustainability is the new world order. Doing good while we do business is our philosophy. 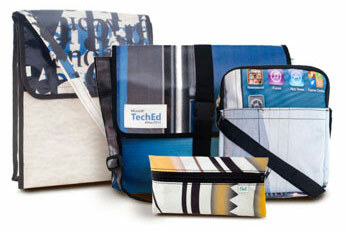 We are working all the time to increase the range and quality of locally manufactured eco-friendly promotional products. 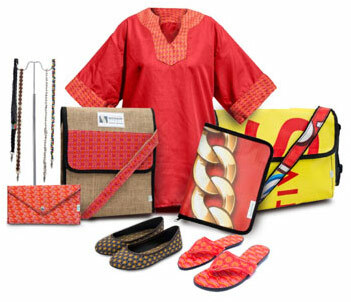 And we have recently added a range of non-eco products made from African print fabrics, hessian and cotton. We are also passionate about providing exceptional customer service and building long term relationships over short term gain. Join our mailing list now and be the first to know about new, locally produced eco-friendly conference bags and eco-friendly promotional products. Click here to join our mailing list and be the first to know about new, locally produced, eco-friendly products. I am thrilled with the bags. I can't thank you and your team enough.I will send a report back after the event with response from client and delegates but I think they are amazing and Everyone at my company is so impressed at how u turned it around in the time you did. It is day 2 of the congress today, and the delegates and everybody else is really delighted about the bags and interested in the Story. The quality is fine, and the look is great - by now we have an impression of the diversity. GO GREEN. LIVE GREEN. GIVE GREEN.